All photos by Mike Gerrard. It was in the bar at the Courvoisier Distillery in Jarnac that I almost had a heart attack. The barman was offering me a Cognac cocktail, and when I asked what was in it he said, "Ginger ale." Mixing Cognac with ginger ale?? To me a glass of Cognac had always been something to revere, a treat at the end of a really good meal, something to savour neat. It was not something you mix with a fizzy drink. Scotch and soda, OK. Gin and tonic, of course. But not Cognac. Cognac was special. Seeing my raised eyebrows, the barman explains: "Over 60% of the Cognac that’s drunk in the world is diluted, with ice cubes, water, or in cocktails. Diluting isn’t bad. Some are better diluted, but the very best Cognacs are not for dilution." Cognac with ginger ale is, I discovered, totally delicious, especially as a refreshing, long drink at the end of a hot day touring Cognac distilleries in western France. Most of the better-known distilleries are in and around the town of Cognac itself, but its little brother, Jarnac, about nine miles (14.5 kms) east along the River Charente, can hold its own too. 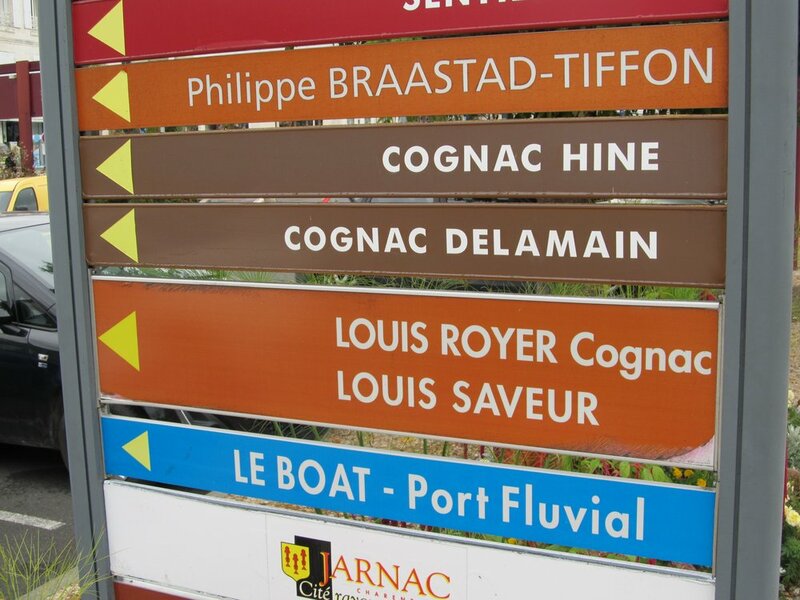 Here you'll find names like Hine, Delamain, Louis Royer, and one of the biggest names of them all: Courvoisier. The Château de Courvoisier stands, as most of the major Cognac houses do, on the banks of the River Charente. It was down the river that the Limousin oak would come from the forests of the interior, to be transformed into barrels for maturing the eau de vie. The damp climate near the river was also desirable during maturation, and then when the Cognac was ready for shipping, it was sent on its way along the Charente till it reached the port of Bordeaux. The convenience was especially important for Courvoisier, which exports 97% of its Cognac, a large majority to the USA. A tour of Courvoisier has something no other distillery can offer: Napoléon's raincoat. It also has his luggage, his hat and a small piece of his hair. "Courvoisier was the favorite Cognac of Napoléon," our guide explains, "which is why we have some of his personal items here. Courvoisier's founder, Emmanuel Courvoisier, originally opened a wine and spirits company in 1809 in Bercy, which was just outside the city walls of Paris. This meant they had access to Paris but did not have to pay city taxes!" He explains, "Their Cognac became so well-known that they received a visit from Napoléon Bonaparte himself, who later arranged for his troops to receive some on the battlefields during the Napoleonic Wars. The company moved to Jarnac in the early 19th century, and in 1869 Napoléon's nephew, Napoléon III, made Courvoisier the official Cognac supplier to the Imperial Court." It's an impressive pedigree, and the Cognac is even marketed in certain places, including China, as "Napoléon", although that's for the more practical reason that "Courvoisier" is very difficult to pronounce in some languages. A ten-minute walk along the leafy banks of the Charente from Courvoisier is another distinguished Jarnac distillery, Louis Royer. Royer is a youngster in Cognac terms, having been founded as recently as 1853. Our guide here is Jérôme Royer, a direct descendant of the founder, Louis. "Louis was born in 1828," Jérôme tells us, "in the same street where this distillery still stands. He learned the art of making Cognac at another distillery, and at the age of 25 he decided to strike out on his own." Jérôme is also a beekeeper. "We believe in the power of the bees!" he says. "They make honey here too, and the presence of the bees is important to the Cognac. That’s why the bee is our symbol." Master Blender Laurent Paul explains that Louis Royer only produces about 1/3 of its own raw spirit, buying from up to 100 local distillers, including farmers who distil their own grapes. "I'm a strong believer in the fact that the farmer can bring out the best, the soul of his own wine. We don’t go for woody tones from the barrel, we prefer to stay with the taste of the wine." "In the USA," says Jérôme, "We decided to build our presence on quality rather than try to compete with the big companies. So we began with Louis Royer Préférence, which is sold only in the USA. Then came Louis Royer Force 53, which is 53% ABV. It’s the strongest Cognac in the USA. It has a strong aromatic strength as we thought it would be drunk with water. It can also go really well into mixes without diluting the strength." He goes on to say, "In Europe Force 53 sells best in Finland and Russia. There they like strong spirits and drink it straight up. It’s more difficult to sell in France itself because they don’t like to mix it in cocktails. The French market has become a nightmare. Today in France the digestif is totally dead." I also learn that in France they drink about 12 million cases of whiskey every year. That's roughly the same as the amount of Cognac drunk worldwide. I had to come all the way to Jarnac to learn that the French themselves don't drink much Cognac. Not even with ginger ale. 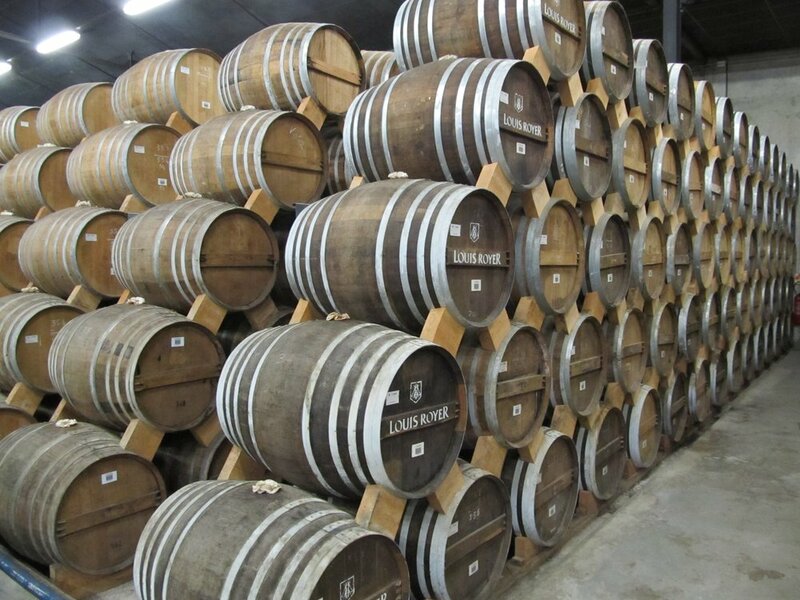 For further reading about Cognac, please click here.